Fun in the sun for kids ages three (3) years and up! 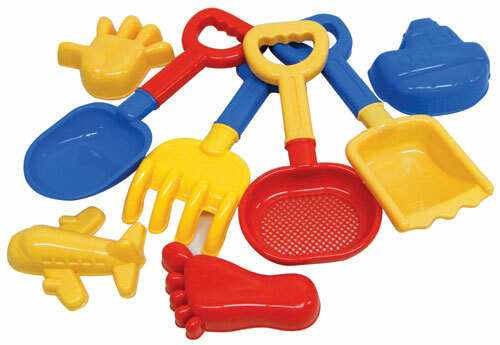 These Sand Tools Set will surely keep your kids busy while having fun and enjoying the beach. Set includes: sifter, 4 sand molds, rake and Shovel.